Low level laser therapy (LLLT or cold laser) falls under a number of new methods for treating pain as well as musculoskeletal and soft tissue injuries. Cold lasers fall under a category of techniques known as bio-stimulation, including such modalities as pulsed electromagnetic field therapy, infrared light therapy, and pulsed electrical stimulation. By stimulating abnormal tissue with light, magnetic, or electrical waves a physiological response is produced. The FDA has approved cold laser therapies for injuries such as those of the shoulder, neck and carpal tunnel syndrome, and there is growing evidence of its benefits in osteoarthritis, fibromyalgia, and musculoskeletal and joint pain. These devices look like flashlights and are held over the source of pain for approximately 10 to 15 minutes in order to get the desired result. Recently cold lasers have been used by the (U.S.) Olympic team and professional athletes with very good results. The difference between broad spectrum light and laser light is that laser light is a single band of light that will seek out a specific target. The visible spectrum includes wavelengths from approximately 400 to 755 nanometers. Broad spectrum light ranges from 400 nanometers to 1200 nanometers. The wavelengths beyond the visible spectrum are generally used for heating purposes. The longer the wavelength the deeper the penetration. In 1964 lasers were developed for industrial purposes such as cutting metals and plastics. Then in the 1980s we witnessed the introduction of the pulsed dye laser delivering short individual pulses of light, which was FDA approved in 1988 to produce a selective light induced injury, such as ablation of various blood vessel abnormalities, i.e. port wine stains, as well as tattoo and hair removal. Therapies evolved into non-ablative treatments such as skin rejuvenation, the stimulation of collagen formation, as well as rejuvenating therapies for the face, including photo-damage. Light is a form of energy which, interestingly enough, is a stream of particles called photons, which have no mass, are not limited to a specific volume in space or time, and behave like a wave. Cells absorb photons and transform that energy into the energy all cells utilize (ATP) for metabolic processes including the synthesis of DNA, RNA, proteins, enzymes, cell proliferation, and other products needed for the repair and regeneration of cells. The benefits of light therapy include modulation of prostaglandins (substances that cause inflammation) as well as nerve function. The results are pain relief and healing in conditions such as carpal tunnel syndrome, bursitis, tendonitis, ankle sprains, temporomandibular joint dysfunction (TMJ), shoulder and neck pain, arthritis, post herpetic neuralgia, as well as tissue repair in diseases such as diabetic ulcers, venous stasis ulcers, bed sores, fractures, ruptured tendons, torn cartilage, torn ligaments, and nerve injury. Visible light is a very narrow range of wavelengths in the entire electromagnetic spectrum. 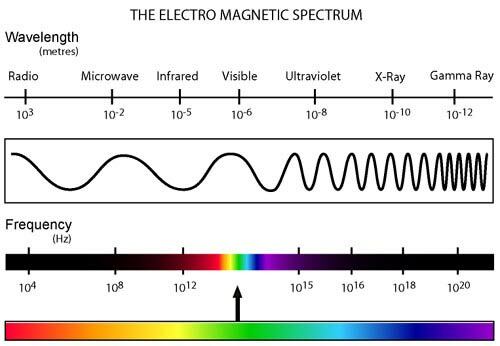 Most wavelengths are invisible and range from lower energy and longer wavelengths, such radio, TV and other microwaves, to the infrared spectrum, which includes near infrared, mid infrared, and far infrared wavelengths, all the way up to invisible ionizing radiation including cosmic rays, X-rays and gamma rays, which have much higher energy and higher frequency (i.e. shorter wavelengths). It is the wavelengths including red, and near infrared light that have most of the therapeutic benefits. 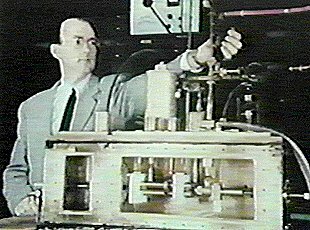 As noted above, in the 1960s the first lasers were developed, producing red light at a unique wavelength. The word laser stands for light amplification by stimulated emission of radiation. The first lasers were high-powered, including lasers used as weapons, and for surgery. Later on therapeutic low-powered lasers were developed, which initial experiments showed produced faster healing of skin wounds. After the work done by NASA and the Russian space program in the mid 1990's the use of low level laser therapy increased dramatically. This low-energy light was found to promote fibroblast proliferation (fibroblasts are cells present in connective tissue which are capable of forming collagen fibers), regulate the synthesis of collagen, accelerate bone and tissue repair, and to heal ulcers in 50 percent of patients that had not responded to other treatments. This light is absorbed by chromophores and other light absorbing entities within the mitochondria and cell membranes of cells. The absorbed light is stored as energy known as ATP formed by the mitochondria, which are small organelles (small organs) within our cells. As noted above this ATP stored energy is then used for various metabolic processes including the synthesis of enzymes, proteins, DNA, RNA, and other products necessary for cell and tissue regeneration and repair. There are other monochromatic light sources, including light emitting diodes (LED's) and super-luminous diodes (SLD's) which also produce a beneficial effect. It should be noted that there are certain contra-indications to light therapy including cancer, direct irradiation of the eyes, idiopathic photophobia in people who are highly sensitive to light, patients previously treated with photosensitivity enhancing agents, direct radiation over a fetus or uterus during pregnancy, and direct irradiation of the thyroid gland. These exciting new light therapies are felt to affect at least 24 different positive changes at a cellular level, including ATP production, increased circulation by the formation of new capillaries, stimulation of the production of collagen necessary for the repair of injuries, increasing lymphatic system activity reducing edema, increasing RNA and DNA synthesis, reducing the excitability of nerve tissue, increasing phagocytosis, which is a process necessary for the scavenging of dead or degenerated tissue, the destruction of infection and the stimulation of acetylcholine (a neurotransmitter). Cold lasers produce lower average powers of approximately 100 milliwatts or less, and are typically, although not always, pulsed. Because the light is only on for a fraction of a second and pulsed rapidly the result is an average power output that is very low. 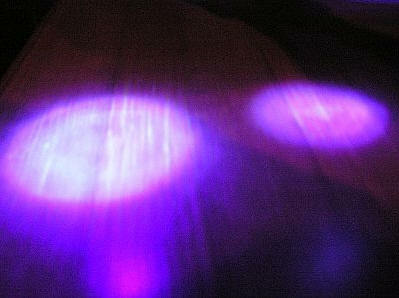 Therapeutic laser light is either visible (red in most cases) or invisible (infrared). In addition research has shown that there are virtually no side-effects. Occasionally the patient may experience an exacerbation of pain or discomfort for a short time when treating chronic conditions. We have had great success at our clinic using cold lasers and invite you or anyone you know to come in for a free consultation.